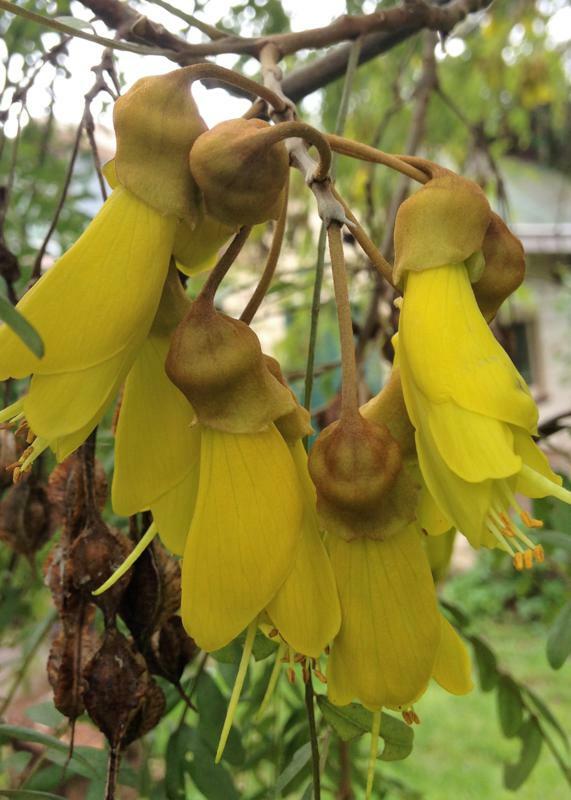 There’s a large kowhai tree in my Tasmanian garden. Judging from early photographs of the garden, it is at least 50 years old and may be older. Right now it’s covered in clusters of large yellow pea-shaped flowers that are filled with nectar. As it flowers it discards leaves, which makes the flowering even more spectacular. 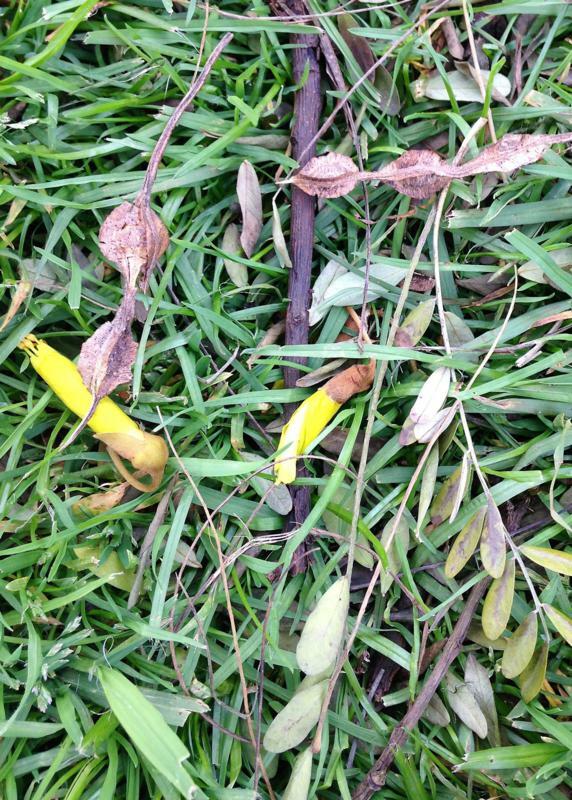 Kowhai (Sophora microphylla) is native to New Zealand and an unofficial floral emblem. The common name, kowhai, is a Maori word that describes the golden yellow colour of the blossoms. These flowers are used to make a traditional yellow dye and are also an important nectar source for many of New Zealand’s wonderful birds, particularly the tui. We anticipate the flowering of our kowhai every year as it is such a spectacle but we are not the only ones watching the tree. The little wattlebirds definitely have their eyes on the tree and its nectar-rich blooms. 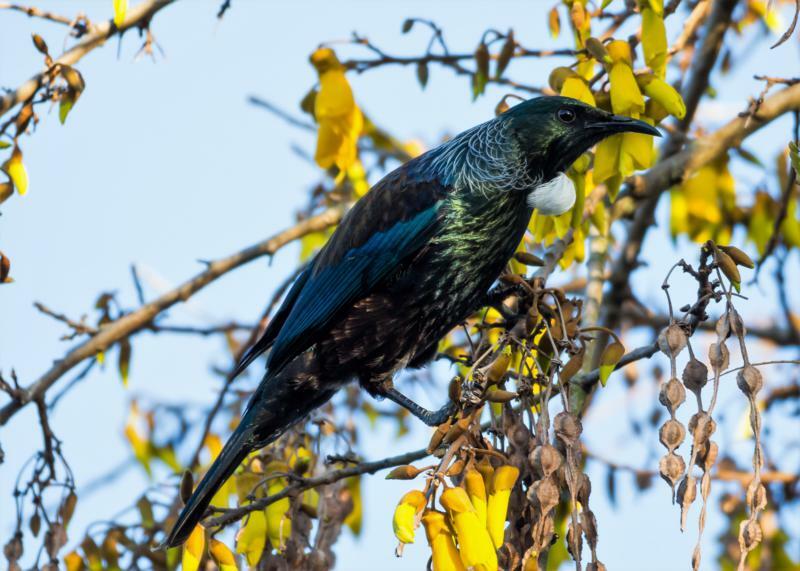 New Zealand reports about the kowhai note that the tui, a honeyeater that’s endemic to New Zealand, flies long distances to feed on kowhai nectar in spring. Human visitors too admire the tree – especially Kiwi expats like my friend Georgie. Georgie wasn’t just concerned about my pronunciation. She was worried about whether she’d live long enough to see her new tree bloom. Seed-grown trees can take 10 years to become mature enough to bloom. In these days of instant everything, 10 years does seem a long time to have to wait for something but I am sure as she’s fit, healthy and a gardener, she’ll more than make the distance. I reassured her that seed grown trees can sometimes flower more quickly (perhaps at seven years) and as the tree was already two years old her wait may be just five years! Gardening is all about waiting. I am always waiting for something to germinate, grow, bloom or fruit. 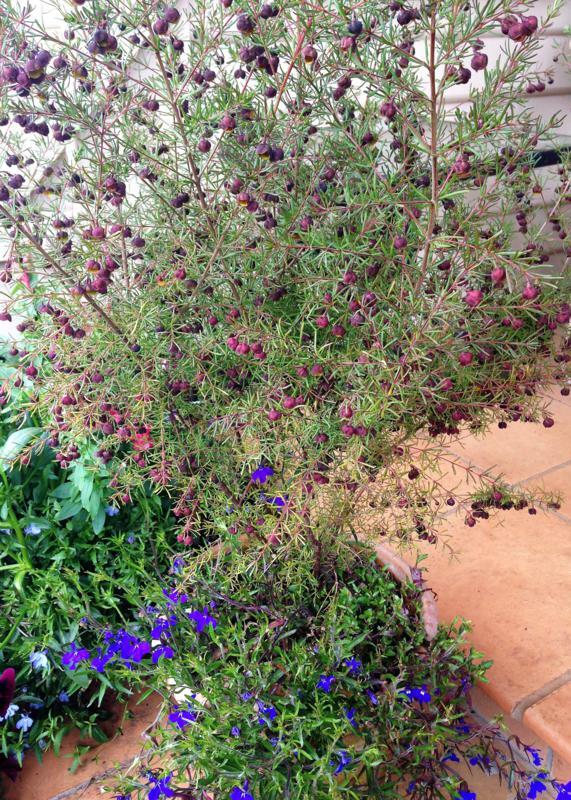 Lately I’ve been waiting for my brown boronia to bloom. The buds formed in winter but remained stubbornly closed. Earlier this month however I was greeted by wafts of perfume. The flowers had begun to open and release their wonderful Aussie scent. The reason I was waiting so impatiently was not just to enjoy the fragrance. Brown boronia, which is native to the south-west of Western Australia, is notoriously touchy to grow and can be short lived. I was worried this already two-year-old plant might collapse before the flowers opened! Thankfully it has stayed fit and well. It is growing in a terracotta pot with a good quality, free-draining potting mix. I’ve been careful to keep it watered and protected from frost and banned it from the fertiliser list. Hopefully it could even survive another year – but maybe I am getting ahead of myself there! 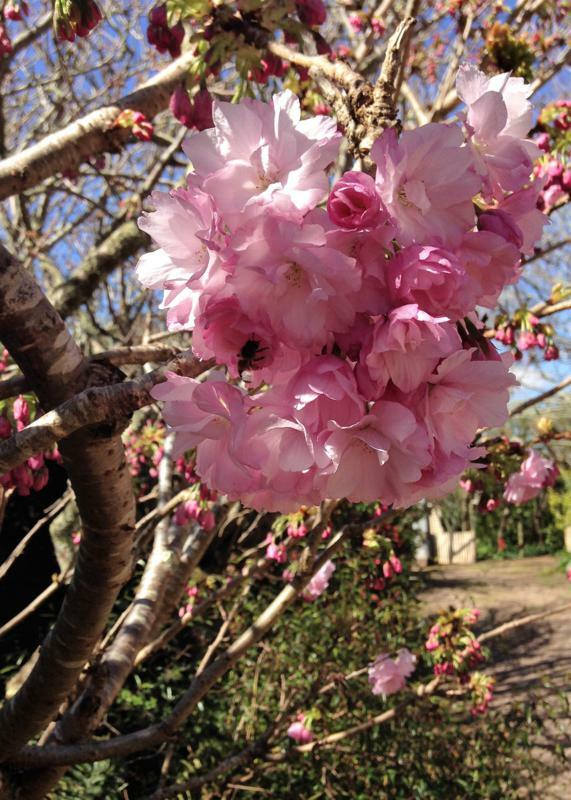 Now the boronia and kowhai are in bloom, I can anticipate the next big flowering event: ornamental cherries. I watch these trees carefully as the blossoms are fragile. Although well sheltered, a gale as the flowers open can bring what should be several weeks of flowers to a premature end, and a pink carpet on the ground. This story is based on Jennifer’s column in TasWeekend, (The Mercury, 14-15 October 2017). What a fascinating collection of flowers!